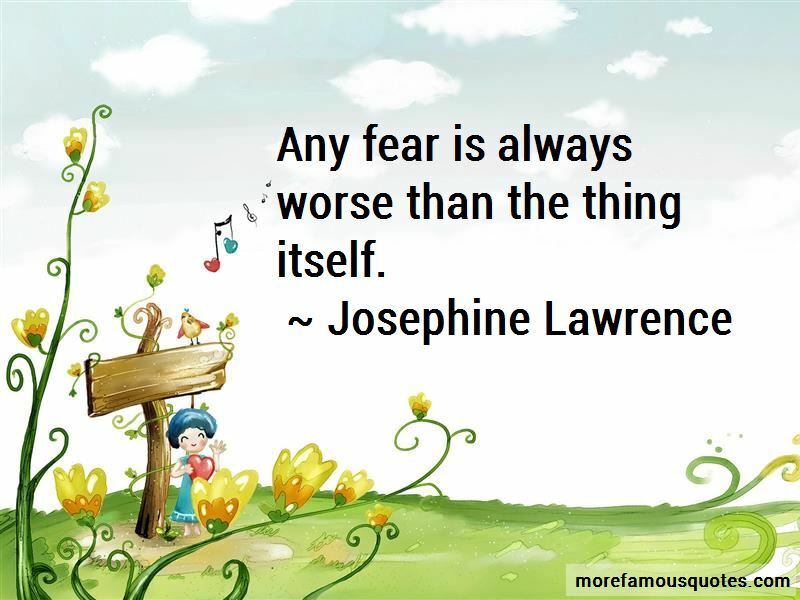 Enjoy the top 9 famous quotes, sayings and quotations by Josephine Lawrence. 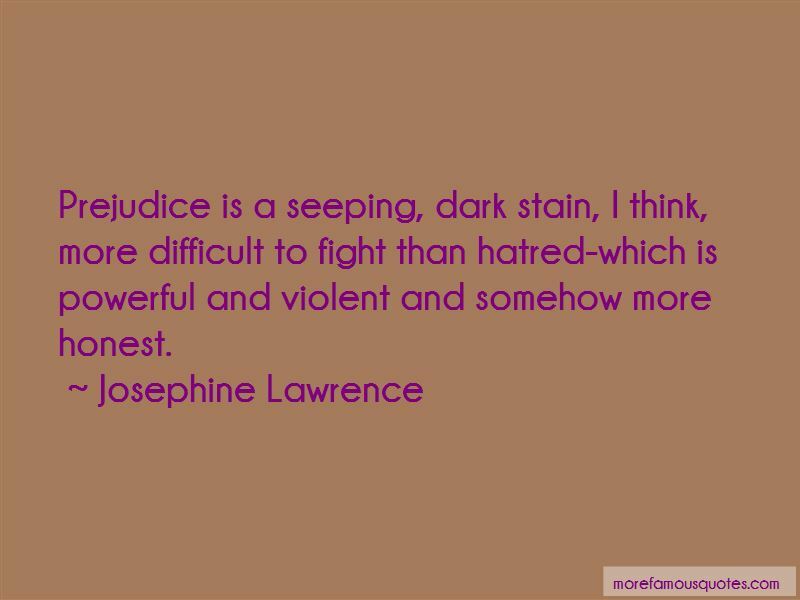 I would not preach tolerance, which seems to me another name for condescension and presupposes faults in those to be tolerated ... Nor do I believe in demanding love - that should be the gift of a free will. But simply to be kind - that is not too much to ask of any of us. 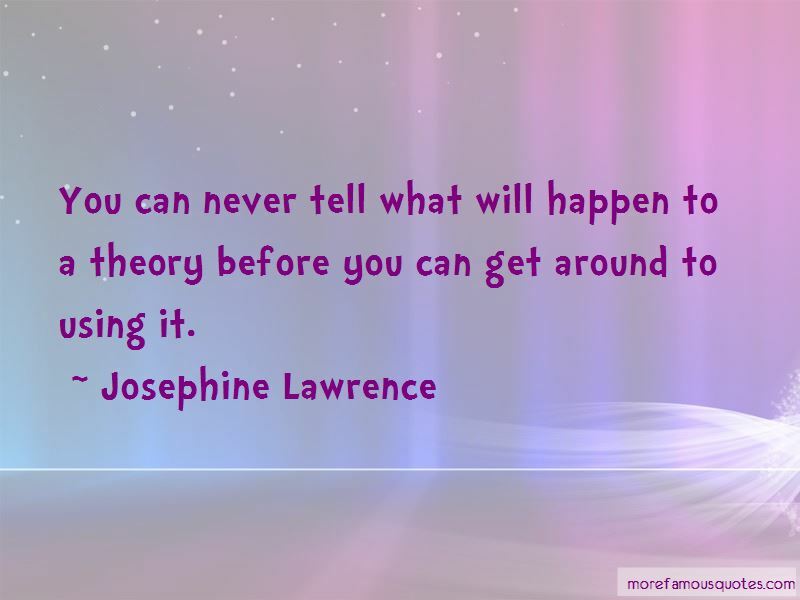 Want to see more pictures of Josephine Lawrence quotes? 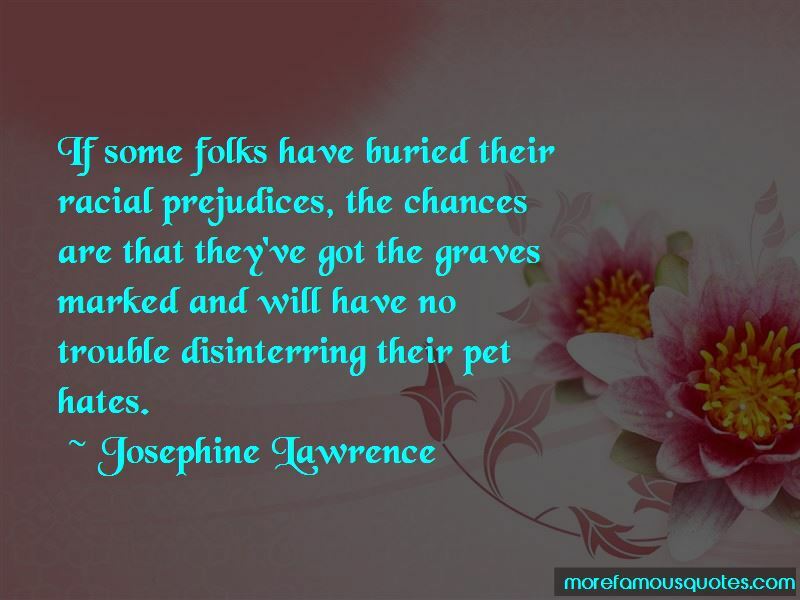 Click on image of Josephine Lawrence quotes to view full size.